October 29, 2018 – Golden Harvest Agronomist Eric Anderson reflects on how to best finish harvest and prepare for the year ahead with Indiana AgriNews. 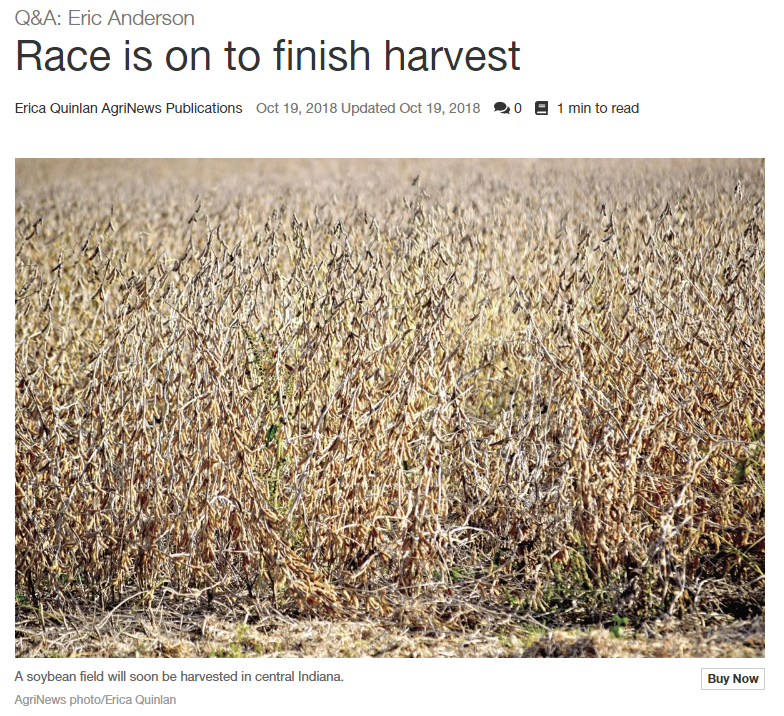 Source: Erica Quinlan – Field Editor – Indiana AgriNews in La Salle, IL. . http://www.agrinews-pubs.com/news/race-is-on-to-finish-harvest/article_932dcb52-d628-57cd-be9b-dafd4040332f.html Indiana AgriNewsAgriNews covers agricultural business throughout the United States, specifically in Indiana and the Midwest. Features include markets, crop yields, government subsidies and programs, auctions and similar farming-related topics. Learn more at http://www.agrinews-pubs.com.